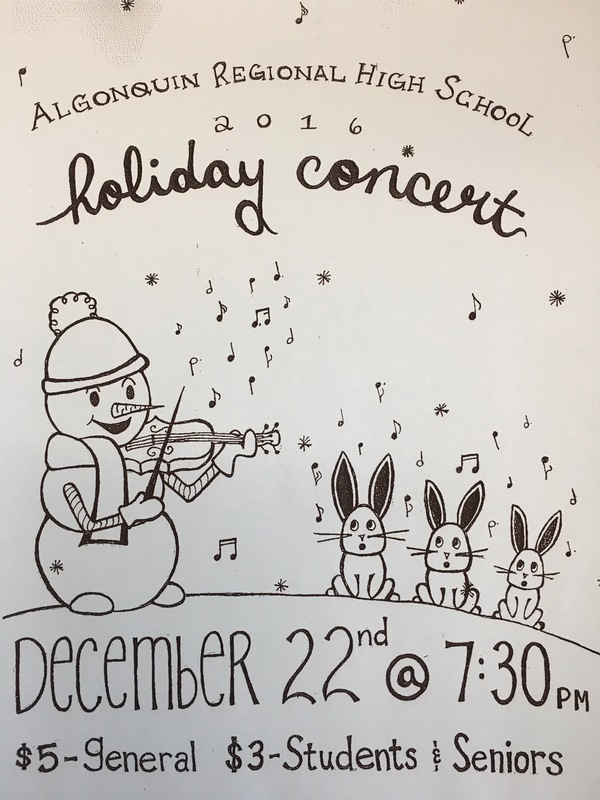 The annual Holiday Concert will be held on Thursday, December 22nd in the Algonquin Regional High School auditorium at 7:30pm. Prior to the concert starts, small groups will perform in the lobby and rotunda area and light refreshments will be served. ARHS student artwork will be displayed and NAHS calendars will be available for purchase. The concert will feature performances by: Mixed Chorus, A-Gents, Chamber Choir, Concert Choir, Camerata Singers, Orchestra, and Jazz Ensemble I. The concert will conclude with the combined grand finale of White Christmas and all alumni are invited to the stage to perform with the groups. Tickets are $5 for adults/$3 for students and senior citizens. NSMA members are free.